CITY OF PHILADELPHIA OFFICE OF ARTS, CULTURE AND THE CREATIVE ECONOMY AND MAYOR KENNEY CELEBRATE JAZZ MONTH. Each year, the Office of Arts, Culture and the Creative Economy leads the City of Philadelphia in Philly Celebrates Jazz, a celebration of Jazz Appreciation Month in April.The month-long celebration in April features more than 200 jazz-related events across the city. Mayor Jim Kenney joined the Office of Arts, Culture and the Creative Economy (OACCE) to kick off Philly Celebrates Jazz by honoring the 2018 Benny Golson Award recipient, Jamaaladeen Tacuma. The event began with the award presentation, including a special composition performed by Tacuma in City Hall’s, Mayor’s Reception Room. The event continued downstairs and also included a live music performance by a trio from the Settlement Music School. PHILADELPHIA – Mayor Kenney today delivered to Philadelphia City Council the Fiscal Year 2019 operating budget, capital program and Five Year Plan that propose vital new investments in the City’s public schools, police and fire departments, and infrastructure. A primary focus of the spending plan is the proposal for a historic investment in the Philadelphia School District. This investment will provide financial stability for the District over the next five years so our students and our schools can continue building on the real progress they’ve made in recent years. Increasing early literacy: Specialized reading coaches for every elementary school, and expanding the focus on early literacy into grades 4 and 5. College and career readiness: Expanded and improved CTE programs, apprenticeship programs, IT internships and other high school pathways opportunities. Expanded college access through advanced placement courses, free SAT testing, and a middle-college program where high school students can earn an associate’s degree; More opportunities for more student to have career exposure and work experiences in summer and year-round. Additional 9th grade academies that provide academic supports and counseling and reduce the risk of dropping out. Creating safe and welcoming environments: School climate investments to enhance positive and safe school cultures. Capital improvements, including upgraded elementary classrooms, to address our schools’ many physical building needs. High quality instruction: Supports for teachers including training for high school teachers to increase student achievement and engagement and funding to continue efforts to increase the diversity and quality of our teaching workforce. To ensure the stability of the school system, the Mayor proposed that the City turn to its own general fund to increase its annual contribution to the District by $20 million annually, totalling an additional $100 million over five years. He also proposes to reduce the amount of planned wage tax rate reductions, and to use the savings from the lower rate of reductions to increase the District’s contribution by almost $340 million over five years. The Administration further proposes to increase the Real Estate Transfer tax to generate an additional $66 million, as well as increase the Property tax by 6% to generate an additional $475 million. This roughly $980 million package is proposed to ensure that Philadelphia’s students have the resources to thrive. For the average residential property owner, the proposed property tax increase would mean an additional $95 a year. If they are enrolled in the Homestead Exemption program at its current level, it works out to an additional $70 year – or less than 6 dollars a month. With limited funding available beyond the City’s investment in Philadelphia’s children, the Administration has prioritized other investments that will make Philadelphia safer, help move residents out of poverty, combat the opioid and homelessness crises, and improve the delivery of existing services to taxpayers. Almost $100 million over 5 years to the Police Department to grow the number of sworn police officers to 6,525 and to fund that staffing level throughout the Plan. Capital and 911 funding for the renovation of a building to house the 911 Training Center. Funding for the relocation of Police Headquarters to 400 N. Broad Street. $54 million over 5 years to the Fire Department to support a total of 2,661 positions, a 24% increase in Fire’s personnel budget since Mayor Kenney took office. Staffing investments include paramedics and firefighters, but also managerial positions, dedicated training and health/safety positions, and a full-time Medical Director. Annual capital investments of $10 million to replace Fire vehicles, including ambulances, engines and ladders. Funding for a Logistics Hub, which will include training space, vehicle storage, and a central location for operational command. $60 million of operating and capital investments for the Streets Department to support the goal of Vision Zero by redesigning streets and sidewalks and incorporating traffic calming measures (such as delineators and speed cushions). $1.5 million in annual investments, matched with almost $9 million of federal and state grants, for DHS. This would fund increases for foster care providers, which would allow for additional staff to focus on parent recruitment, screening and training. This funding would also fund expanded Family Empowerment Services, including the addition of 16 additional case managers. $1.5 million annual increase for CCP, allowing the College to keep tuition as low as possible. The College will continue workforce training and increase the ability of Philadelphia students to gain critical skills — programs that are aligned with “Fueling Philadelphia’s Talent Engine,” the City’s cross-functional, citywide workforce strategy. Additional investments in the Office of Fleet Management apprenticeship program. Increasing the wages of seasonal employees within the Department of Parks and Recreation to a living wage. Continuing funding for the Fair Chance Hiring Initiative, which provides grants to employers to encourage the hiring of returning citizens. Increasing the homestead exemption from $30,000 of assessed value to $40,000, which will reduce the tax burden on Philadelphia homeowners in light of growing home values. $2.5 million investment in foreclosure prevention programs. FY19 increased funding of $3.8 million to the Philadelphia Land Bank. Operating and capital dollars will enable the Streets Department to reach the goal of resurfacing and paving 131 miles annually, getting to a state of good repair. Expanded grants staff for the Streets Department will enable the Department to access and utilize more external grant funding for capital projects, stretching local taxpayer resources even further. Capital funds will allow for the replacement of additional trash compactors, allowing the City to be on a full compactor replacement schedule in the next 4-5 years. $4.5 million is included for the District Attorney’s Office over 5 years, to support reform efforts in regard to staffing and technology systems. Increased funding for programs in line with the grant provided by the MacArthur Foundation is also included in the Plan. April 25, 2017-Mayor Jim Kenney, City Council President Darrell L. Clarke, Commissioner of Parks & Recreation Kathryn Ott Lovell and other City officials joined community leaders and senior citizens to celebrate the ribbon cutting of the new facility for the Martin Luther King Older Adult Center in central North Philadelphia. The 10,000 square foot building is located on the corner of 21st Street and Cecil B. Moore Avenue. The facility features a large lunchroom and commercial kitchen, a billiards room, a multipurpose room, and classrooms for art, fitness and computers. The construction process utilized sustainable practices and materials including an energy-efficient HVAC system and lighting. The total cost of the project was roughly $4.3 million. Project funders include the City of Philadelphia, Philadelphia Parks and Recreation, and the Office of Council President Clarke. The Philadelphia Redevelopment Authority (PRA) managed the construction and development of the project. PRA also owns the land, and is transferring it to the Department of Parks & Recreation. The Office of Arts, Culture and the Creative Economy, in partnership with public radio station 90.1 WRTI, presents a live listening session with internationally-renowned jazz pianist Orrin Evans. WRTI’s Jeff Duperon will interview pianist Orrin Evans about his career in jazz and current projects and will accompany their conversation with the playing of Evans’ recordings. This intimate, hour-long conversation will be conducted in front of an audience in the Art Gallery at City Hall and recorded for future broadcast. This Philly Celebrates Jazz WRTI Listening Session is a part of the Philly Celebrates Jazz Community Series, which also features free performances, film screenings, and dance classes produced by OACCE that are held across the city in libraries, recreation centers, older adult centers, and schools. http://www.CreativePHL.org/jazz, Facebook.com/CreativePHL and on Twitter @CreativePHL and Instagram @CreativePHL, and follow #PhillyCelebratesJazz. Councilman Kenyatta Johnson will hosted a conference for roughly 100 African-American males titled Building the Bench: The Next Generation of Leaders at the University of Pennsylvania School for Social Policy and Practice located at 3701 Locust Walk, Philadelphia, PA 19104 on Saturday, March 24, 2017 from 9:00 A.M. – 3:00 P.M. The conference, was conjunction with the University of Pennsylvania’s School of Social Policy and Practice, will focus on male engagement in local and national policies to strengthen their communities. It is great to see our community leaders truly trying to engage the youth on their level. Councilman Johnson has made youth inclusion a big part of his agenda. He knows what our youth need to be successful from youth employment, acceptable youth recreation, to instilling proper leadership skills, and he continues to engage them on platforms that are relatable to them. Join Councilman Kenyatta Johnson next on March 31,2017 at City Hall as he honors 30+ Hard Working Community Women for Women’s History Month including our very own CEO Saj”Purple Queen”Blackwell. 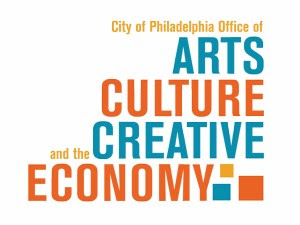 PHILADELPHIA– Mayor Jim Kenney and the Office of Arts, Culture and the Creative Economy (OACCE) will kick off Philly Celebrates Jazz, a citywide celebration of jazz during the month of April, Jazz Appreciation Month, by honoring jazz pianist, educator, and The Late Show with Stephen Colbert bandleader Jon Batiste as the recipient of the City’s first Benny Golson Award. Mayor Jim Kenney and OAACE will kick off Philly Celebrate Jazz for the month of April with a launch event honoring bandleader Jon Batiste, from The Late Show with Stephen Colbert. This year marks the City’s 7th annual celebration of Jazz Appreciation Month, Philly Celebrates Jazz (PCJ)led by the Office of Arts, Culture and the Creative Economy, and raises public awareness of the jazz heritage of the city, along with the vibrant jazz scene that thrives to this day through a month-long celebration of jazz. This year PCJ features over 200 events including the Philly Celebrates Jazz Community Jazz Series of free performances, film screenings, and dance classes produced by OACCE that will take place across the city in libraries, recreation centers, older adult centers, and schools. 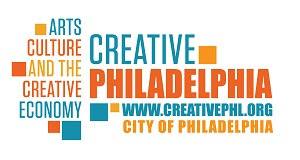 For the schedule of events and latest news about Philly Celebrates Jazz, visit: http://www.CreativePHL.org/jazz, Facebook.com/CreativePHL and on Twitter and Instagram @CreativePHL, and follow #PhillyCelebratesJazz. The Benny Golson Award, dedicated to jazz legend and Philadelphian Benny Golson, honors a living jazz musician with an international reputation that has demonstrated significant efforts in promoting arts education through jazz in their respective communities and across the country and world. Along with his artistic accomplishments including topping both Billboard jazz and iTunes jazz charts, Jon Batiste was selected honoree for his significant work in arts education including creating the Social Music Residency and Mentoring Program, as well as his work in schools and universities across the country including Philadelphia’s own Curtis Institute of Music and Play On Philly! He also serves as the Artistic Director at Large for the National Jazz Museum in Harlem. This year, the Philly Celebrates Jazz Award will showcase women in jazz. This year’s honorees include jazz guitarist Monnette Sudler, and posthumously to organists Trudy Pitts and Shirley Scott for their contributions to jazz in Philadelphia. The Philly Celebrates Jazz Award is given to local Philadelphia jazz musicians for their contributions to jazz and to the Philadelphia community through arts education.